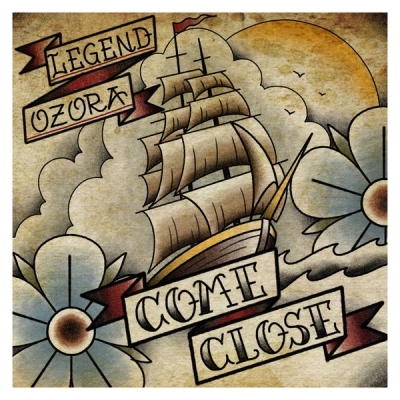 Old Bear Records will be releasing a new five song EP by artist Legend Ozora, titled 'Come Close', on February 15th, 2019. Legend is an artist mature beyond her years. At only 18 years old, Legend is the first female solo act signed to Old Bear Records. Her love for people and the local church is evident in her life and songs. Much of her passion has been inspired by her numerous mission trips to Haiti serving the poor and orphaned. “Come Close” is produced by Chris Hoisington at Old Bear Studios and is a haunting and inspiring collection of songs. Leaning heavily on the use of voices as instruments, the album submits a fresh sound to the movement of modern worship and provides an intimate listening experience that fully captures the heart of the title track. The first single “Come Close” which is the title track from the EP, is currently available on all major digital platforms. The full EP release is set to impact all major digital platforms on February 15th, 2019.